The winner of the VI International Paulo Cello Competition is Brannon Cho (USA). Second place was divided between Zlatomir Fung (USA) and Minji Kim (South Korea). Fourth place was divided between Bryan Cheng (Canada), Leonardo Chiodo (Finland) and Timotheos Petrin (Greece). The chairman of the jury, professor Arto Noras announced the results at the prize-giving ceremony after the second final late Thursday evening. In addition to the official prizes, two special prizes were awarded. The Shadow Jury, comprised of young professionals, awarded their favourite contestant Brannon Cho with Finnish made high quality Genelec speakers. The jury’s special prize, a bow made by violin builder Risto Vainio, was awarded to Leonardo Chiodo. 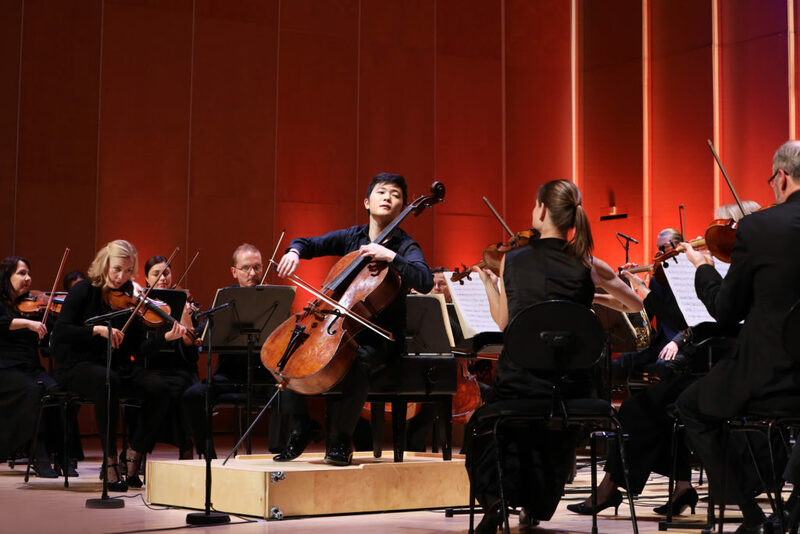 The VI International Paulo Cello Competition brought 25 young cellists from 13 different countries to compete in Helsinki, Lahti and Espoo October 15–25. The contestants’ performances were judged by an international jury comprising of nine highly esteemed professionals and chaired by the artistic director of the competition, professor Arto Noras. Finnish Broadcasting Company Yleisradio streamed the competition live on Yle Areena. Previous winners of the International Paulo Cello Competition are Xavier Phillips (1991), Hai-Ye Ni (1996), Enrico Bronzi (2002), Andreas Brantelid (2007) and Kian Soltani (2013).